I am a baseball purist. I am that person who goes to a baseball game and sits down to actually watch the game. I don’t become distracted by all the other activities that one can do while at the ball park. Before the pregame festivities, I am make sure that I get a hot dog, soda, score card and pencil. I watch the lineups being announced, I watch the first pitch, and I sit down and watch the pitcher warm up. There is just something that almost therapeutic about watching the game while filling out your score card. It is relaxing and keeps your head in the game. At Kauffman Stadium in Kansas City, they have created what they call the outfield experience. This place has games, a smaller baseball diamond, a splash park, and a playground. The first two years of the Kid’s life, going to the ball park was easy. He didn’t realize what was beyond the outfield wall. To him, the only thing that went on the other side of the fence was a home run ball. This made it really easy for me to watch the game with him in the seat next to me. Now that he is three, for the lack of a better term, the game has changed. Not only for me, but for him. Our shared baseball experience was bound to change but I was determined to keep him from visiting the outfield experience for as long as possible. I knew that it was a slippery slope. As soon as he knew that it was out there, he would not want to watch the game at all. Going to be a baseball game would no longer be a shared experience but would become going to an overpriced amusement park. The first three innings of the Royals vs. Dodgers game was easy. I was able to stuff his face full of peanuts and lemonade. Being only three-years-old, he would only be able sit down for so long. I didn’t want to resort to cotton candy too early in the game, I really wanted to leave that as a reward for being good. He was starting to get antsy as he did not like being stuck in his seat. I didn’t even make it three innings. We decided to walk around and there was no choice but to walk in the outfield. The Kid immediately ran towards the playground. I can’t complain about him finding the only free thing to do out there. However, part of me was frustrated that I was missing the game, and I was not even a fan of either of the teams that were playing. That is how much baseball means to me. They were playing the game’s radio feed through the speakers, so I was at least able to keep up with the game. I was still able to hear the roar of the crowd, the groan when the Dodgers scored a run, and I was able to smell the cooking hot dogs and popcorn. I was still at the game and even better I was at the game with my son. It hit me about the fifth inning of the game, that the distractions, are what get the younger generation to the game. It is what exposes that younger generation to the game. It implants that vision of one day seeing their face on a big jumbotron as they walk up to the plate. I want to pass down my passion for baseball to the Kid, I want to be able to sit down with him and be able to share the game with him, much like what my dad and I can do, and did the night following taking the Kid to the ball park. If it takes a few distractions like a playground or splash park to get him to the ball park that, than that is what it takes. We were still able to sit down for roughly half of the game and watch it together. He was still able to stand up and cheer when the first baseman made a nice diving stop. In the end, it is that shared baseball experience that a father and son are having. It is that twinkle in the eye that your kid gets when they walk up to the stadium. It is the ketchup in the corner of their mouths from the hot dogs and the sugar rush from cotton candy. It is all about spending time together, building those experiences that your kid will not forget. 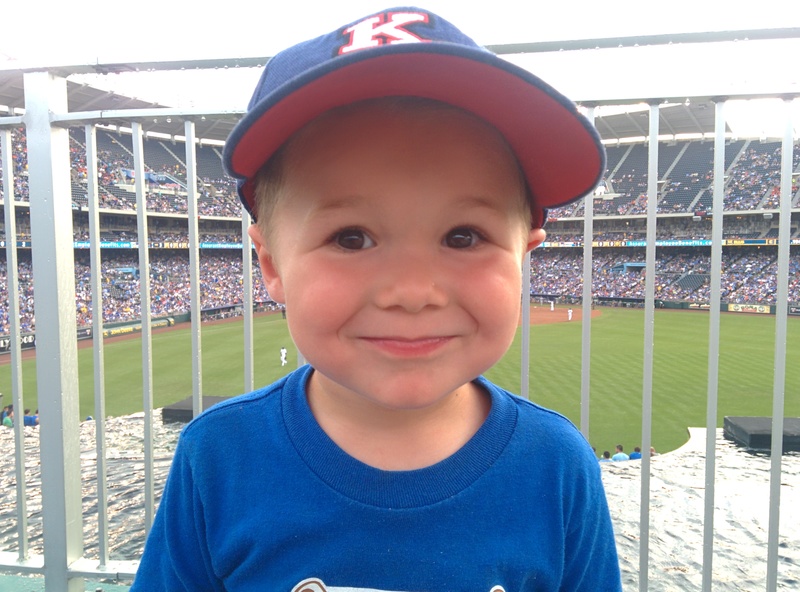 Those experiences will be what forms his love for baseball as he grows older. At 5 years 8 months, and just turned 3, my boys were very distracted a few weeks ago when we took them to the footy. With 20 minutes to go my wife took them out of the ground to a park nearby. Truth was, I think she was a little over the noise of the crowd too. But I hope that as they get older they will appreciate the game as I do. I don’t think that it is so much keeping them from watching the game but just getting them to the game and exposing them to the game. By game I am talking about whatever game you are passionate about. When it comes to sports in general I’m a purist as well. I don’t like all the distractions that are now prevalent in sports arenas and find them to be more of a nuisance than anything else. I also feel it’s a depiction of what our everyday life is like and how we no longer can focus on one thing too long. We over stimulate ourselves in our daily lives at work and school, and now it is overflowing into our hobbies and free time. If you need someone just let me know! I’d be glad to help! 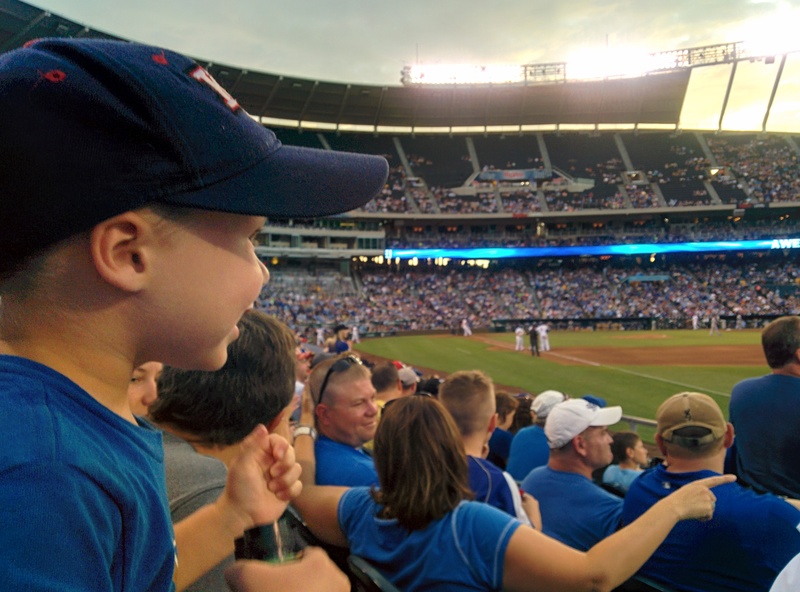 Ha, my son may be into that, but I’m more into the distractions… Baseball is just a great excuse for me to pay $10 for a slice of pizza.